Did you know that we have birthday party rentals? Advertising opportunities are available at the Howick Community Centre. The arena ice season spans October to March 31st. Our facility boasts 6 large dressing rooms to accommodate teams, leagues or tournaments. 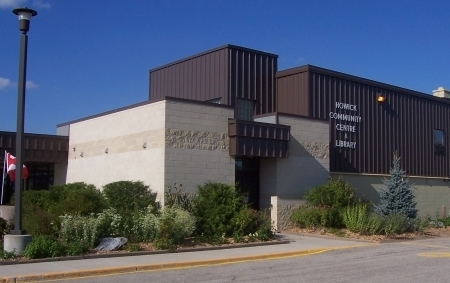 Howick has a full minor hockey system and is also home to Double-A girls, old-timers, and recreational hockey teams as well as the Howick Figure Skating Club. The arena floor is available during the summer months for sports, dances and other large events. The air-conditioned, fully accessible (elevator) hall is equipped with a large kitchen and bar area for weddings and other events. For rental information, contact the recreation department.